Russia and Qatar will host the soccer tournament in 2018 and 2022, respectively, FIFA announced. 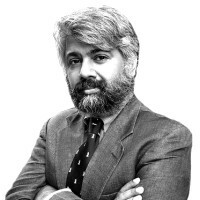 Tunku Varadarajan on why the choices are transformative, electrifying, and could weaken al Qaeda. An insufferable little windbag by the name of Sepp Blatter—president of FIFA, the governing body of world soccer—has just disclosed to the world that Russia will host the soccer/football World Cup in 2018 and Qatar in 2022. The United States, bidding for the 2022 event, was bounced out, as was England, to many the favorites for 2018. The selections, made by 22 men in suits over lunch in Zurich, are provocative—unattractively in the case of Russia, and beguilingly so in the case of Qatar. There can be no question that Russia was—for the soccer fan—the least appealing candidate for 2018. Vast, repressive, unwelcoming of foreigners (especially those with dark skin), with an intolerant social culture and a thuggish ruling class, the country is a far cry from the balmy openness that was on offer in the bids from England, Spain/Portugal, and Netherlands/Belgium. I’m betting Vladimir Putin will still be in power in 2018: How could he pass up an opportunity to declare the World Cup open? On the plus side: Russia does, of course, have a proud sporting tradition, even if we discount the totalitarian dimension of the Soviet era—and its soccer team has always been a force to reckon with. And it does, now, have the chance to turn itself into a more civilized place. Qatar, on the other hand, is minuscule, with no sporting history—or, indeed, anything that would pass for history of any kind in most of the world’s older societies and nations. But it does have boundless enthusiasm, and an irrepressible willingness to do anything—anything—to make its hosting of the cup a success, even offering air-conditioned stadiums to allow play in 100-degree heat. Most significantly, this is the first time that the world has entrusted a global event to a Muslim, Arab country, and it was moving to see Qatar’s charming young crown prince choke up with emotion as he gave his thanks for the vote of confidence. There can hardly have been an onlooker who would not have wanted to go up to the young man and shake his hand. I believe that the Qatar World Cup will be a most effective weapon against al Qaeda and the forces of Islamist darkness. Arab society has seen the world embrace it in a truly global enterprise, and will, I believe, rise to the challenge—a challenge that includes not merely effective organization, but a transformation of traditional ways into cosmopolitan ones. Qatar will play host to tens of thousands of fans from around the world—men and women who will expect to sit together, women who will expect total equality and the right to dress as they please, fans who will want—and not expect to be denied—a drink…Fans who will have no truck with religious police, modesty police, or killjoys of any kind. And if Israel qualifies, Qatar will not be able to deny it the right to play, for the first time, on Arab soil. Think of that. If Israel qualifies, Qatar will not be able to deny it the right to play, for the first time, on Arab soil. Think of that. All this could be electrifying and transformative—the 2022 World Cup could, without exaggeration, bring about a cultural revolution. Will it do so in Russia, too? Will Russians transform themselves into a people more tolerant of foreigners? Will the Russian state learn that it must, now, stop murdering journalists? Will the country allow the spirit of football to infuse the darkest, murkiest, most brooding corners of its soul? I do hope so. For if it doesn’t, I’m unlikely to go there with my son to watch the World Cup. I do, however, look forward to that flight to Qatar—in 2022.